B. Thomas (Arlington, Texas, United States) on 15 May 2018 in Animal & Insect. 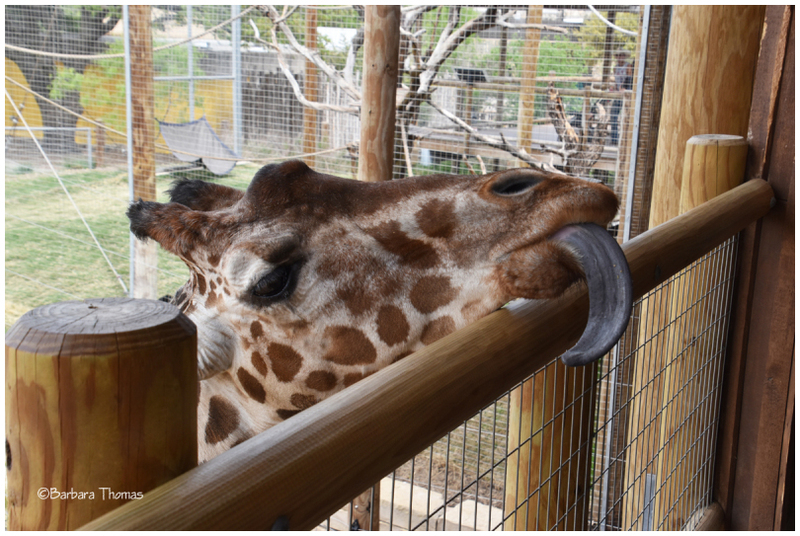 The feeding deck is part of an area dubbed Twiga Terrace; “Twiga” is Swahili for “giraffe.” Guests can experience giraffe encounters on the new deck, hand-feeding the giraffe healthful romaine lettuce. Trop drôle ta photo ! Yes, I visited a zoo with the same experience. Love that tongue! An excellent capture of a novel look. It mkaes a great silly Tuesday picture. They like that lettuce! An excellent ST image. Wow!! That is quite a tongue to enjoy whatever it taSTes!! Great timing! oh, wow, what a moment you captured ! Ha ! ha ! excellent moment, a ST picture indeed !